For all that the goings-on of the Canadian Grand Prix dazzled, probably the most important happening of the weekend - in terms of its implications in the broadest context - had already come and gone, before the race had even got started. Arguably nothing in the Montreal race would have trumped it. 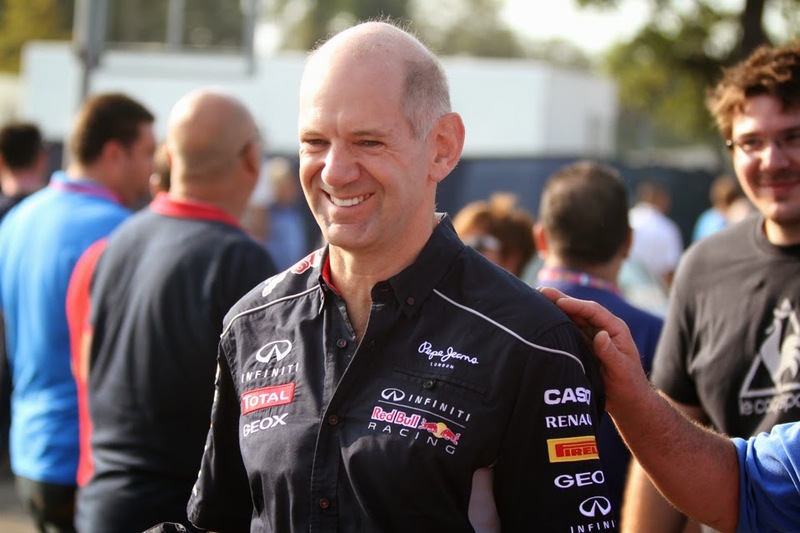 The rumblings over the future of Red Bull's (and F1's) design genius Adrian Newey was resolved. He wasn't going to Ferrari, he was instead staying at Red Bull. The team's announcement couched it in the language of triumph, and a few media outlets it seemed read the statement only as far as the end of the opening line and reported it initially as such too. But gradually those who read all the way to the end started to counter them. The devil was in the detail. He was staying at Red Bull, but not as we know it. Instead after the fundamentals of the 2015 car are in place his role in F1 will be restricted to 'advising and mentoring'. Newey will be more enveloped in 'new Red Bull Technology projects' - presumably exploring design projects in fields other than F1. In other words, if the Red Bull team couldn't have him on the Grand Prix frontline then it was making sure that no one else was going to have him either. An auxiliary benefit also is if Newey's love for F1 ever is rekindled then Red Bull will still have him under lock and key. Smart move on both counts. The Bulls' communications didn't detail the precise nature of his new role, one suspects that hasn't been firmed up totally yet, but Newey's words to Martin Brundle on the latter's TV grid walk before the race last Sunday gave us a synopsis most likely. It sounded an awful lot like a goodbye. And if there was still doubt then Sebastian Vettel noted in the very same grid walk that Newey designs 'everything or nothing'. Which means presumably it'll be nothing. Brundle was absolutely correct to declare Newey's stepping aside, along with Ross Brawn off fishing and as far as we can tell happy to stay there, as an end of an era in F1. Two giants of the sport, who stand as such alongside anyone from any era and not just in the technical field, are to depart within a period of about 12 months. And if you need convincing of any of this then consider that going back to and including the season of 1992, of the 44 world championships available (encompassing drivers' and constructors'), perhaps only five of the victors have not had involvement from either Newey or Brawn; those rare exceptions being the doubles of Fernando Alonso and Renault in 2005 and 2006 as well as Lewis Hamilton's drivers' title in 2008. Also given Brawn actually left Ferrari in late 2006 the three titles won by the Scuderia in 2007 and 2008 could be exclusions too, but equally it seems irrefutable that those triumphs owed at least something to Brawn's foundations. Yet even if we don't include these it remains only eight from 44 of the sport's ultimate prizes not having either Newey or Brawn fingerprints. It's not entirely exaggeration to say that in this modern F1 era if you wanted to be champion of the world it was necessary to employ one or other of them. For Red Bull there are more immediate implications. It's hard to deny that the astonishing Red Bull phoenix that rose over the modern F1 age has had three heads: Horner-Vettel-Newey. It was always going to happen one day that one or more would depart and leave the team with the knotted issue of succession. And it was never going to be easy; the risks herein are considerable. There are plenty of examples from history of a key player leaving an F1 team and it heralding a Jenga-like effect of important pieces - Benetton in 1996-97 and Ferrari in 2006-08 being two obvious examples. Sometimes they are never recovered from. Christian Horner has already had to bat away suggestions that Vettel could be hastened towards the exit door by this. More specifically - unlike just about any other technical head in contemporary F1 - Newey rather than a organiser and delegator remained very much a conceptualist. His concepts won't be easily replaced. Williams - who to this day have never recovered from his late 1996 departure - could tell you that one more eloquently than most. For Red Bull, this particular era's end will herald immediately a rather frantic and critical beginning. I think he is sick of all this hybrid/fuel saving/sacrificial tyres tosh !! And whilst pundits wax lyrical about the great racing, they should reflect upon the fact that on the two occasions this has happened, it was due to safety cars deployment that eradicated the fuel saving and tyre degradation issues and allowed the cars to race - which they should be able to do every lap! Hi Ray. As luck would have it I'm in the process of writing something on that very subject. But in brief I think people are jumping to conclusions by saying that Newey's decision is an indictment of modern F1. For one thing, Newey came *very* close to stepping away from the sport in 2001 to go off to the America's Cup, and indeed lost a lot of his enthusiasm for F1 in that era too, enthusiasm that wasn't really rekindled until he joined Red Bull in 2006. So Newey's desire to do other things isn't necessarily something related to whatever the rules are in here and now. 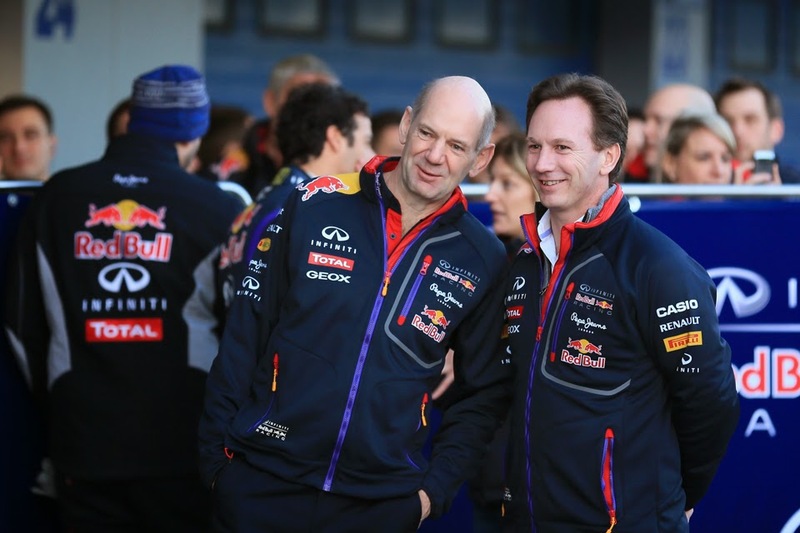 Indeed, Newey said himself: 'I've always said I didn't want to spend my whole career purely in motor racing'. Plus plenty of times in the past the F1 design genius of the age has got an itch to go off and do something else. Gordon Murray in 1990 went off to design road cars (and he still does). John Barnard not long afterwards went off to design furniture(!). Even Colin Chapman it was said lost a lot of his enthusiasm towards F1 in the few years before his death. Perhaps the likeliest explanation is that if you're a highly motivated and restless person - as these people tend to be - you'll likely always have a desire to go off to the next challenge. You are likely right Graham. Just took the opportunity for a rant perhaps!! I've been a GP devotee since the early 60s and don't subscribe to the view that GP cars should reflect developments in public motoring. The huge attraction to me is that GP cars aren't 'sensible'. All the tweaking over the years hasn't improved the overall experience for me, and how many of the tweaks have endured? I am not averse to change, the reduction in the numbers of engines/transmissions to reduce costs was positive and has probably avoided the Championship becoming a 4-horse race. But drivers having to cruise around to save tyres and fuel, bah humbug! How many years will it be until motive power is entirely electric? I apologise, I am indeed a grumpy old man but didn't intend to continue the rant on your post. On the point of when automotive power will be all electric, I'm no expert on such things but I've heard it said that electricity is more a medium term solution than a long term solution. So with this perhaps motoring will never be all electric. There is still the issue of what the source of the electric power is. Moreover, Audi and the US Navy have started to develop sourcing fuel from water... Though I've also heard it said that the energy recovery stuff will likely always have a role to play.